Educents Back to School Blowout Sale!! In case you haven’t heard…Educents is having their Back to School Blowout Sale! Say it ain’t so…please!! I can not believe school is just around the corner for many of us. I have only been off for one month, so I still have one month to go. But, I know many of you are getting ready to go back or already have gone back to school. I feel your pain and your excitement. Let’s be honest, we don’t want to go back but can’t wait to get into our rooms and set up for the new year. Only another teacher can understand how happy you get when you open up a new set of markers or find that perfect colored basket. My husband thinks I am absolutely crazy! Since I do not have A Dollar Tree near me… boooo! My mom calls me at least once a week to go over what she sees at the Dollar Tree by her. She is fabulous!! Even though I am not going back for another month, I am already shopping. I even made my Teacher’s Toolkit. I know, I know…better late than never. I woke up this morning to see Educent’s Back to School Blowout Sale and got giddy. Like I said only another teacher truly understands what I mean. Management and Decor Bundle…oh my! Back to school shopping can be very dangerous! I have to limit myself to only two. Any suggestions? Hi everyone! Just a quick note to let you know about a secret sale. Shhhh… For today only (Sunday, July 27th 2014), I am offering a sale for my blog and facebook followers. Buy one get one free (of equal or lesser value.) 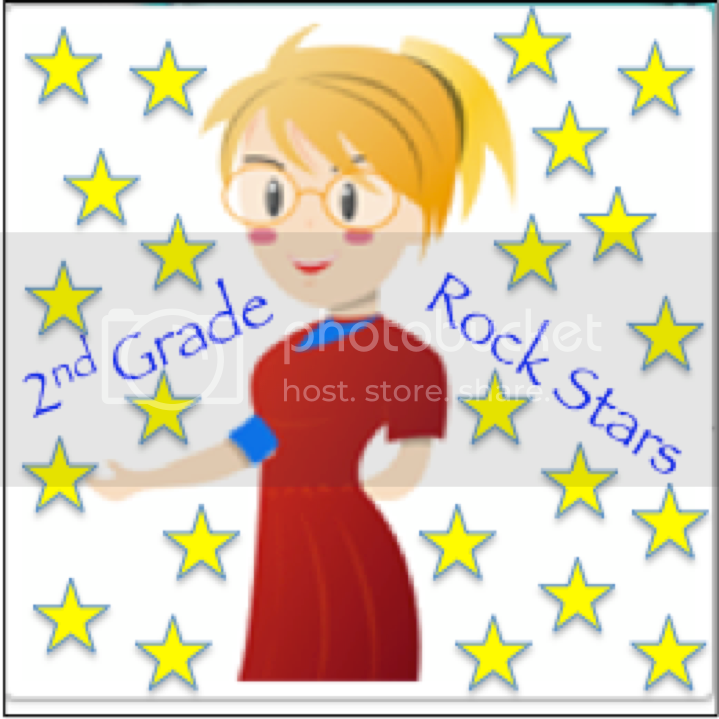 Email me at RachelH@2ndgraderockstars.com with your purchase that you made and the item you would like for free. Welcome back to the Back 2 School linky hosted by Mrs. D’s Corner and Miss V’s Busy Bees. Last week, we talked about classroom management and I read some great ideas from other bloggers. I can’t wait to read what others have to say about assessment. Assessment is crucial in the classroom. We are constantly assessing our students, even when they don’t realize it. Tip #1:TAKE A DEEP BREATH and RELAX!! Sometimes assessing can be very overwhelming. Sometimes you want to pull your hair out. Does this look familiar?? I know it does! This is me at times at school. I know it gets crazy. You have State assessments, City assessments, and District assessments. Let’s not forget about whatever assessments your principal decides you “need” to complete and your own, meaningful assessments. You know what I mean. As a teacher, you have your own assessments that mean more and give you more data than any of the other assessments. Remember that you know your students best! Tip #2: Make sure that your assessments are meaningful to both your students and yourself. Your activities, quizzes, tests, writing assignments…whatever you are using to assess your students, should be based on what you have taught. Your students should know what to expect and know what they have to do. We are not “out to get” our students. We don’t want to catch them not knowing things. Give meaning assessments that are useful to drive your instruction. You need to use your assessments to inform your instruction. How you ask? Use a checklist or a spreadsheet to record your data. I have checklists and spreadsheets for everything. We use GoMath in my school. In the beginning of every unit, I create a checklist that includes the lessons and the Quick check for each lesson. This checklist tells me which of my students grasped the concept and who did not. It also helps me to group my students. I have all of the questions on the test, the skill, and the common core standard. It takes a little while to do, but it is so worth it. Tip number 3: Not all of your assessments need to be formal assessments. Observations are key in your classroom. You spend more time with your students than anyone else does, including some of their parents. You observe your students all day long. You see Suzy’s strengths or what Johnny struggles with. Just remember to jot down your observations. You can use checklists or boxes to record your observations. Check off on a checklist if the child has mastered a skill or a standard. As I listen to my students read, I check off their oral reading behaviors. This helps me know how to better help my students. I also make small groups off of this data. Tip #4: Reflecting on your teaching. After analyzing your data, you need to reflect on your teaching. Did most of the class grasp the concept or did only a few? By analyzing your data, you can see what you need to reteach or if you need to move on to the next topic. Use this data to drive your instruction. If you need to reteach a skill or concept because many of the students misunderstood something, then DO NOT MOVE ON. Go back and reteach the topic, using a different approach. The same thing goes if most of your students understand a concept. If 80% of your students know how to add two digit numbers, then why are you going to spend more time on adding two digit numbers. Not only is it boring for you, it is also boring for your kids and I’m sorry to say it, but a waste of time. Thanks for stopping by and saying hi. Tell me how you use assessment in your class? Remember to go back to Mrs. D’s Corner to read what others have to say about assessment. Hi everyone! Today I am linking up for the first week of Mrs. D’s Corner and Miss V’s Busy Bees’ Back 2 School Linky. Today we are talking about behavior management. What teacher hasn’t struggled with behavior management at some point in his or her teaching career? Have the nightmares started yet? You know the nightmare when you wake up screaming because your class is not listening or out of control. I remember being a first year teacher and of course, getting one of the worst classes in the school. Imagine being picked up and moved out of the way by a 2nd grader because you were interfering with their fist fight!! Uh huh, that was quite a year. That year I tried everything I had learned in college, everything that colleagues had suggested. I even tried bribery…that didn’t work either. But we all know that we just can’t give up. I plugged away until the class was somewhat manageable. Thinking back on my first year, I cringe. I have learned so much through the years about classroom management. Make a list or plan of your rules and classroom routines so that you don’t forget any! Review the rules and routines constantly until the students know that you mean business. Often times, you will hear a teacher say, “But I went over the rules and we went through the routine. They just don’t get it.” If you don’t constantly reinforce the rules and routines, the kids will walk all over you. 3. Highlighting the positive that you see instead of the negative. Sometimes I don’t even say names, I say something like…”Wow! Someone wearing the color orange is doing a great job on line.” It’s great. All the kids look down to see what color they are wearing. Sometimes I choose something to say that many of the kids have in common, like…”Someone with the letter A in their name is doing awesome in class today.” The whole class sits up straighter. They are just so stinking cute! 4. BE CONSISTENT!!! I can not say this loud enough. You need to be consistent throughout the entire year. If the answer is no to Johnny, then it should be no to Suzy. 5. Develop “The Teacher Look.” Come on…you all know the look that I mean. the “look” that stops students (and husbands) dead in their tracks. The look that says, “Oh no you didn’t, you better stop that now! !” I love that look. The teacher look can silence a whole class in a matter of seconds. I’ve tried many different approaches to behavior management over the years. To be honest with you, different things work with different classes. 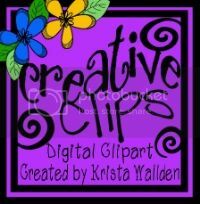 I started using the Clip Chart about two years ago and my kids loved it. I was really surprised and I know that there are many articles against clip charts. But I say, you have to what you feel comfortable doing. I give my kids a warning (or two) before their clip has to be moved down and I have my kids move their clips up more often. Last year I started to use my Robot Clip Chart Behavior Management System. I only used it for about month, before school ended. So this year I am starting in September. Both my kids and parents responded well to it. I also stopped using a prize box last year and started using reward cards. Here is a quick view of the management system. For students who struggle with behavior, they complete a behavior goal sheet. The Clip Chart Behavior Management System and all of the reward cards will be 20% until Friday, July 18th. You can check out the reward cards by clicking here. Thanks for stopping by and saying hi. I would love to know what hints or tips you would give others about classroom management. Click the picture below to head back to Mrs. D’s Corner to read what others have to say about behavior management. Hi everyone and welcome back to our book study on Laney Sammon’s Guided Math: A Framework for Mathematics. Chapter 7 is all about conferring with students during guided math. According to Laney Sammons, “Conferring is the heart and soul of teaching.” As teachers, we are constantly conferring with students, even though I am guilty of not always recording the conference. In what ways are you able to discover your students’ mathematical thinking. One way I discover my students’ mathematical thinking is through partner work. I listen in to partner work and look at their work. I also have my students complete math investigations or exlemplars. This gives me great insight into how my students work. I can see any misconceptions they have, or the strategies they use to solve the problem. I can also get to know my kids’ mathematical thinking by conferring with them. I get to spend a little more time with the students when I confer with them. It is very difficult to confer with individual students. When we confer with individual students, we aren’t able to monitor the other students during guided math workshop. I am guilty of conferring with the individual students. Sometimes I feel like I have to. We all have those students that constantly need our attention, coaching, or modeling. It is a hard habit to break!! Every year, my math workshop works differently. Last year, it did not go as smooth as I wanted it to. I would say things like,”They are not independent.” or “My class is very immature.” Thinking back, I’m beginning to realize that a lot of it was my fault. So next year, when I set up my math workshop I am going to spend a lot more time on structure and rules. I think that might have been part of my problem this year. I need to remember to implement the math partner so that the students always have someone else they can ask or work with. I am also going to make sure that my kids know or have a list of activities they can do on their own if they are having trouble with something. I found it difficult to meet with all of the groups that I had preplanned. I try to meet with at least two preplanned groups each day, plus a group that I notice needs help on the same skill or strategy. Often times, I was only able to meet with one group. The kids were always coming up to me and interrupting. No matter how many times I ignored the students or told them I could not answer them now, it didn’t seem to work. I just read a blog post that gave me such a great idea. I am so sorry that I don’t remember who is was. I searched my fb feed but couldn’t find it! If you what blog it was or read the blog and can help me, leave it in the comments so I can give proper credit. The idea: Use one of the lights you get from the Dollar Tree. Put the light on when you are conferring. Then the students know that they can not go to you. Brilliant! Recording and using conference notes are very important. -Recognize the strengths of their students. -Broaden the scope of conferences. -Follow-up on conference teaching points. I used to be really good at recording all of my conferences. I don’t know what happened to me. I know how important it is, but lately I find that I just don’t have the time. This is another goal I have for next year. I really need to get back into the swing of recording my conferences. Thanks for stopping by and saying hi. Hop through the blogs to see what everyone else has to say about chapter 7. Don’t forget to enter the giveaway below. If you haven’t signed up for Educents yet…what are you waiting for? Click below to get $5 off of your first purchase. Hi everyone. I am linking up with The Teaching Tribune for Two For Tuesday. Don’t you just love interactive notebooks? I only started using them with my kids towards the end of last school year. Wow! I could not believe how excited my students became whenever we worked on the interactive notebooks. I am using Pearson’s ReadyGen for reading. You can read my thoughts on the program here. The first book we work on in September is Charlotte’s Web. I had to think of a way to make it more engaging. Most of my kids had difficulty keeping up with the book last year. So I just finished an interactive notebook on Charlotte’s Web. I can not wait to use it! There are 22 interactive activities that are aligned to the 2nd grade Common Core Standards. It is half price…only for today! The next product on sale for 50% off is my multiplication craftivity/scoot bundle. April Showers Bring May Flowers is a bundle that includes a product flower craftivity, interactive notebook activity, interactive notebook flower pages and a multiplication/division scoot game. I hope everyone is having a restful, relaxing summer! Thanks for stopping by and saying hi. Click below to go back to The Teaching Tribune to see some more 50% off deals. Hi everyone! Once again I am linking up with The Teaching Tribune to tell you a little bit more about me. Getting back to the worst thing that ever happened in my classroom. Can you imagine? It was my first year of teaching and I was 21 years old. Of course, I was given one of the worst classes in the school. I had so many fights in the classroom. One fight in particular stands out in my mind. At that time, I had a bathroom in my classroom. I put the other student into the bathroom and stood in front of the door, trying to calm the other student down. All of a sudden…I was off of the floor. The student had picked me up (of course he was my size and in 2nd grade!!) and moved me out of the way. Please tell me that someone has had something as bad or worse (not that I’m wishing anything bad on you. :)) Leave a comment and tell me something about yourself or the worst thing that has happened in your classroom. Thanks for stopping by and saying hi. Click the picture below to go back to The Teaching Tribune and meet some other fantabulous bloggers!